This pregnancy has been different in so many ways from my last. I’ve told you guys before that Camden was a big surprise and I was not in a good place when I found out. Taking a test this time, I was much more relaxed and excited to see the + sign! We told our families when we were in Austin for my husbands 30th birthday and they were all so happy for us! We got Cam a shirt that said “Big Bro Yo” and waited to see who noticed it first (of course it was my mom!). A quick funny story – we all ordered bloody mary’s on the plane ride there and I whispered to the flight attendant that I didn’t need any vodka in mine and winked and pointed at my stomach and she got the hint. Well a different flight attendant delivered the drinks and yelled WHO ORDERED A VIRGIN BLOODY MARY!? I was cringing and didn’t say anything but luckily my in-laws didn’t catch on lol. I definitely thought we were going to get caught for a second! I have all day nausea that progresses as the day goes on. I wasn’t sick at all with Camden so this was a surprise to me! I’ve been taking B6, unisom, and Zofran which helped at first but I don’t think it’s doing much anymore. I’m 13 weeks and almost in the second trimester so I’m hoping it ends soon. I’m ready to start cooking meals again and making it to the gym more than once a week! I also can’t believe how early I’m showing – I didn’t have a bump with Cam until I was 18ish weeks. So crazy! Congratulations!!! So happy for your Meggan and so happy you’re not finding out the gender! We just did that with my daughter and it was the best surprise ever! I loved how it made everyone involved with the pregnancy and you’ll be so excited for the birth. Just a FYI – NONE of the old wives tales worked for us! Everything said boy and we had a girl! Can’t wait for you to find out. Over the moon excited for you as you welcome baby number two! I really appreciated your post a while back about being on the fence about a second, and now reading today’s post and hearing how truly elated you sound – it just makes me really happy for you!!! It will be so fun watching Cam become a big brother and have a buddy to play around with all the time. Wishing you a smooth and hopefully less nauseous rest of your pregnancy! Congratulations Meggan! 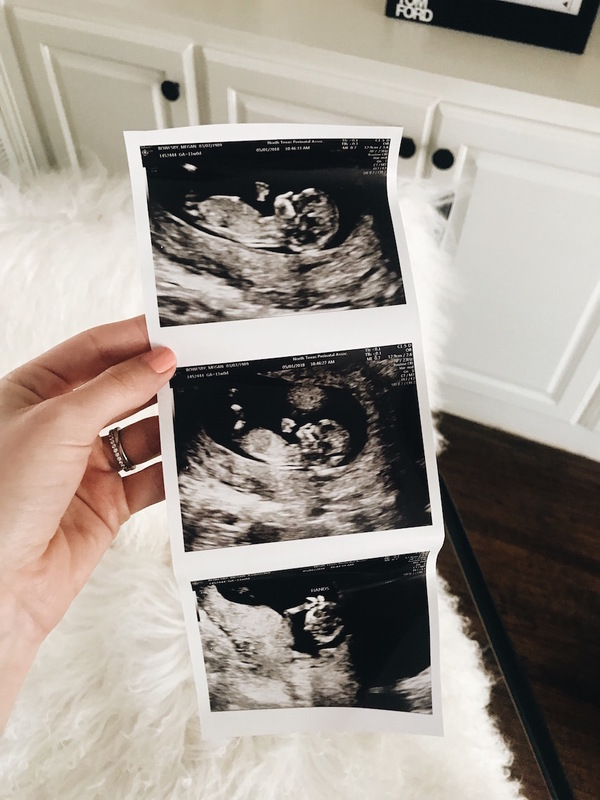 Baby #2 is such a different experience! You’re a great mom-so excited for you. Congratulations! Wow! Can’t wait to see your updates on the pregnancy and your maternity style! Congratulations! I’m due with my second in october, and the all day nausea has been constant and is just starting to get better (I’m almost 18 weeks 😫). We are also being surprised — it is the best and SO worth it! Ugh so sorry you haven’t been feeling well either! Congrats to you too mama! So exciting!! My best friend is due in November too 🙂 Can’t wait to hear more about your pregnancy and of course see how you style your bump!! Big congratulations!! Yayyyy so exciting! As a L & D nurse, the deliveries where parents don’t find out are always exciting and filled with so much emotion! Very happy for you guys! !